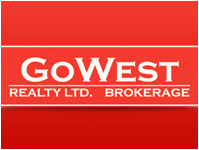 561 Rebecca St , OAKVILLE, Ontario - GoWest Realty Ltd. Description: Top To Bottom Contemporarily Renovated Four Bedroom Home In Sought After Location/Short Walk To Lake, Appleby College And Dt Oakv. Everything Is New! Oversized Custom Fiber Glass Windows With Custom Blinds Throughout, Electrical, Plumbing, Roof, Furnace, Ac, Central Vac, High-End Fireplaces, And Ss Appliances! Stunning Bright Custom Designed Kitchen W/Quartz Counters, Kitchen Office Desk, Lots Of Light And Tons Of Storage. Gorgeous Open Concept Living Space!Very Private, Quiet Oasis Backyard W/Tall Cedar Hedges, Gardens, Pergola, Large Wood Deck, Stone Patio And Fireplace! Beautifully Landscaped Throughout. Front Of The House Features A New Circular Paved Driveway For At Least 5 Cars!